This End User Licence Agreement (“Agreement”) is made between Living With Ltd (“Living With”, “we”, “us”) and the end user (“You”, “Your”). For the purpose of this Agreement, Living With are the licensor and You are the licensee. Living With has agreed to license You access to the App for the Permitted Purpose on the terms of this Agreement. 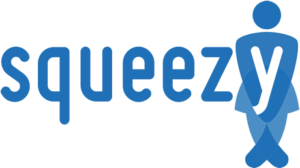 Website: the Squeezy website and directory, including all content including text, information, data, software, executable code, images, audio, or video material in any medium or form provided to You. Intellectual Property Rights: patents, rights to inventions, copyright and related rights, moral rights, trade marks, business names and domain names, rights in get-up, goodwill and the right to sue for passing off, rights in designs, rights in computer software, database rights, rights to use and protect preserve the confidentiality of, confidential information (including know-how), and all other intellectual property rights. Permitted Purpose: private, non-commercial and for information purposes only subject this Agreement. Services: the patient information and directory of pelvic health physiotherapists services provided by us, to You through the Website. Usage Rules: the usages rules set forth in these Terms and Conditions available online here. 2.1 Living With hereby grants to You a non-transferable, non-exclusive, revocable worldwide licence to use the Website and directory Your licence shall also be subject to Your acceptance and compliance with the Usage Rules. 2.2 The licence granted to You is strictly limited to, and You shall use the Website solely for, the Permitted Purpose. You may not rent, lease, lend, sell, redistribute, sublicense or commercially exploit the Website or make the Website available to any third party. 2.3 You may not copy (except as expressly permitted by this Agreement and the Usage Rules), decompile, reverse engineer, disassemble, attempt to derive the source code of, modify, or create derivative works of the Website, any updates, or any part thereof (except as and only to the extent any foregoing restriction is prohibited by applicable law or to the extent as may be permitted by the licensing terms governing use of any open sourced components included with the Website). 2.4 You shall not modify, rent, lease, loan, sell, distribute, or create derivative works based on the Website, in any manner or attempt to do so, and You shall not exploit the Website in any unauthorised way whatsoever. 2.5 You agree not to use the Website in any manner to harass, abuse, stalk, threaten, defame or otherwise infringe or violate the rights of any other party, and that Living With is not in any way responsible for any such use by You, nor for any harassing, threatening, defamatory, offensive or illegal messages or transmissions that You may receive as a result of using any of the Website. 2.6 You acknowledge that this Agreement is entered You and Living With. 2.7 Your use of the Website constitutes acceptance of the terms of the Agreement which may be amended from time to time by Living With. Living With reserves the right to change or modify this Agreement or any other policies related to use of the Website at any time. 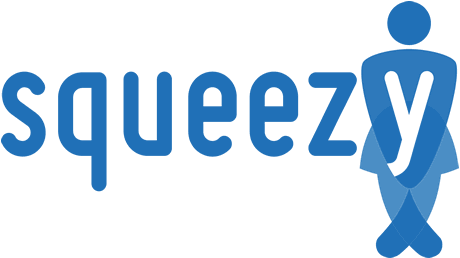 Continued use of the Website following the posting of these changes or modifications will constitute acceptance of such changes or modifications. 3.1.3 terminate this Agreement immediately on written notice. 4.1 You shall comply with all applicable laws in performing Your obligations and Your rights under this Agreement. 4.2 The Website is designed for use and is operated by Living With Ltd in the United Kingdom. Living With make no warranties or representations that use of the Website and our Service is lawful or available for use in any jurisdictions outside of the United Kingdom. If You access the Website and therefore our Services outside of the United Kingdom then You are responsible for ensuring that You comply with the local laws and regulations in Your country. 4.3 You shall not infringe any Intellectual Property Rights in existence at any time in respect of the Website. 4.4 If You become aware of any misuse of the Website, or any security breach in connection with this Agreement that could compromise the security or integrity of the Website or otherwise adversely affect Living With, You agree to promptly notify the Living With and fully co-operate with us to remedy the issue as soon as reasonably practicable. Living With may suspend Your access to the Website until the misuse or security breach is remedied. 5.1 You shall respect and not circumvent any DRM and ensure that the Website is used within the scope of the rights granted to the You. 5.2 You shall not copy, transfer or communicate the Website to any other member of the public or in any way exploit the Website other than as permitted by this Agreement. 5.3 You shall not remove, bypass, circumvent, neutralise, or modify any of the DRM and technological protection measures used for the Website. 6.1 All Intellectual Property Rights in the Website and the Services throughout the world belong to us (or our licensors) and the rights in the Website and the Services are licensed (not sold) to You. You have no Intellectual Property Rights in, or to, the Website, the Documentation or the Services other than the right to use them in accordance with these terms. 6.2 You agree that Living With may collect and use technical data and related information, including but not limited to technical information about Your device, system and software and peripherals, that is gathered periodically to facilitate the provision of software updates, product support and other services to You (if any) related to the Website. Living With may use this information, as long as it is in a form that does not personally identify You, to improve its products or to provide services or technologies to our customers. 6.3 You acknowledge that in using the Website, You may encounter content that may be deemed offensive, indecent, or objectionable, which content may or may not be identified as having explicit language, and that the results of any search or entering of a particular URL may automatically and unintentionally generate links or references to objectionable material. You agree that You are using the Website at Your own risk and that Living With shall not have any liability to You for any content that may be found to be offensive, indecent, or objectionable. 7.1 The Website or any Service may contain links to other independent websites which are not provided by us. Such independent sites are not under our control. 7.2 You will need to make Your own independent judgement about whether to use any such independent sites, including whether to buy any products or services offered by them. 7.3 You acknowledge that Living With is not responsible for examining or evaluating the content, accuracy, completeness, timeliness, validity, copyright compliance, legality, decency, quality or any other aspect of any third-party materials or websites. 7.4 Living With does not warrant, endorse, does not assume and will not have any liability or responsibility to You or any other person for any such services, third-party materials or web sites, or for any other materials, products, or services of third parties. Third-Party Materials and links to other websites are provided solely as a convenience to You. 7.5 Living With makes no warranties as to the availability of any third-party materials or websites at any time or that such content is suitable or complies with Your local laws or regulations. 7.6 If Your use of our Website involves You contacting a medical practitioner through the Website, then please note that the medical practitioner is not employed by or otherwise associated with Living With in anyway. Living With act as an intermediary between You and a medical practitioner. We therefore accept no liability for any or omission of a medical practitioner that You contact through the Website. 8.1 Each party warrants to the other that it has full power and authority to enter into and perform its obligations under this Agreement. 8.2 Living With warrants that as far as it is aware, the Website does not infringe any third party’s Intellectual Property Rights. 8.3 Living With does not warrant against any interference of Your enjoyment of the Website, that the functions contained in, or Services performed or provided by, the Website will meet Your requirements. 8.4 Living With makes no warranties that Your use of the Website or the Services will be uninterrupted or error-free, or that defects in the Website or Services will be corrected. 8.5 Living With assumes no responsibility for any error, omission, interruption, deletion, defect, delay in operation or transmission, communications line failure, theft or destruction or unauthorised access to, or alteration of, any communication. 8.6 Living With is not responsible for any problems or technical malfunction of any telephone network or lines, computer online systems, servers or providers, computer equipment, software, failure of any email or players due to technical problems or traffic congestion on the Internet or on any of the Services or combination thereof, including any injury or damage to users or to any person’s computer related to or resulting from participation or downloading materials in connection with the Services. 8.7 You expressly acknowledge and agree that Your use of the Website is at Your sole risk and that the entire risk as to satisfactory quality, performance, accuracy and effort is with You. 10.1.3 You challenge or dispute Living With’s ownership of, or rights in, the Website, or the validity of those rights. 10.2.1 You must stop all activities authorised by this Agreement, including Your use of the Website and any Services. 10.2.2 You must delete or remove the Website from all devices in Your possession and immediately destroy all copies of the Website which You have and confirm to us that You have done this. 11.1 Living With do not exclude or limit in any way our liability to You where it would be unlawful to do so. This includes liability for death or personal injury caused by our negligence or the negligence of our employees, agents or subcontractors or for fraud or fraudulent misrepresentation. 11.2 Save where expressly provided, all conditions, warranties or other terms which might have effect between the parties or be implied or incorporated into this Agreement or any collateral contract, whether by statute, common law or otherwise, are hereby excluded to the maximum extent permitted by law. 11.3 If Living With fail to comply with this Agreement, then we are responsible for loss or damage that You suffer that is a foreseeable result of us breaking the of this Agreement or for us failing to use reasonable care and skill. We are not responsible for any loss or damage that is indirect or that is not foreseeable. Loss or damage is foreseeable if either it is obvious that it will happen or if, at any time after You accepted these terms, both we and You knew it might happen. 11.4 Living With are not liable for business losses. The Website is for domestic and private use. If You use the Website for any commercial, business or resale purpose we will have no liability to You for any loss of profit, loss of business, business interruption, or loss of business opportunity. 11.5 Subject to clauses 11.1 and 11.2, Living With’s maximum liability in connection with any breach of this Agreement shall be limited to £1 in connection with Your use of the Website and our Services. 11.6 Living With are not responsible for events outside our control. If our provision of the Services or support for the Website or the Services is delayed by an event outside our control then Living With will contact You as soon as possible to let You know and Living With will take steps to minimise the effect of the delay. Provided Living With do this, we will not be liable for delays caused by the event but if there is a risk of substantial delay You may contact us to end Your contract with us and receive a refund for any Services You have paid for but not received. 12.1 A person who is not a party to this Agreement shall not have any rights under or in connection with it. 13.1 You may only transfer Your rights or Your obligations under these terms to another person if Living With agree in writing. 13.2 Living With may transfer their rights and obligations under these terms to another organisation. Living With will always tell You in writing if this happens and will ensure that the transfer will not affect Your rights under the contract. 14.1 If any provision of this Agreement (or part of any provision) is found by any court or other authority of competent territory to be invalid, unenforceable or illegal, the other provisions shall remain in force. If any invalid, unenforceable or illegal provision would be valid, enforceable and legal if some part of it were deleted, the provision shall apply with whatever modification is necessary to give effect to the commercial intention of the parties. 15.1 This Agreement does not give rise to any rights under the Contracts (Rights of Third Parties) Act 1999 to enforce any term of this Agreement. 16.1 The Agreement and any dispute or claim arising out of or in connection with it or its subject matter or formation (including non-contractual disputes or claims) shall be governed by and construed in accordance with English law and the parties submit to the exclusive jurisdiction of the English courts to settle any claim or matter arising in relation to this agreement or its subject matter or formation (including non-contractual disputes or claims).